Novartis’ groundbreaking cancer T-cell therapy CTL019 has won unanimous backing from advisers to the FDA, paving the way for approval in the coming months. There had been concerns that the expert panel would query the drug’s safety and the reliability of its innovative manufacturing process, but the committee voted 10-0 in favour of approval, and that its benefits outweighed some considerable risks. 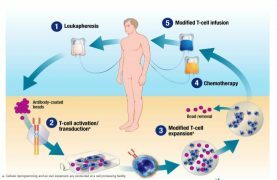 The Switzerland-headquartered company wants the chimeric antigen receptor T-cell (CAR-T) therapy approved in relapsed or refractory B-cell acute lymphoblastic lymphoma (ALL) in children and young adults. Described in the meeting as a “living drug”, CTL019, also known as tisagenlecleucel, involves a patient’s own T-cells being harvested and genetically altered so they attack cancer. 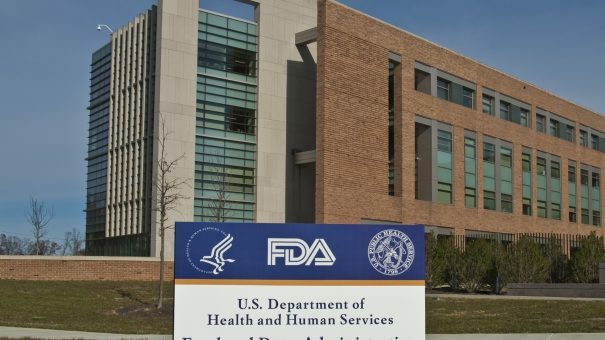 Although the FDA is not bound to follow recommendations from its advisers when making decisions on treatments it usually does, and is due to make a decision on CTL019 in September following a six-month priority review. Acute lymphoblastic leukaemia comprises approximately 25% of cancer diagnoses among children under 15 years old and is the most common childhood cancer in the US. While many patients can be cured with existing treatments, around 15%-20% see their disease return, and most of these relapsed patients do not survive. CTL019 offers a potential lifeline, with clinical trial evidence showing remission rates of around 83%, but the FDA’s Oncologic Drugs Advisory Committee (ODAC) was more concerned with the safety of the therapy. There are potentially lethal side-effects associated with cytokine release syndrome (CRS), where the body comes under attack from its own over-stimulated immune system. But there have been no deaths from CRS in CTL019 trials so far, and the panel was satisfied that expert clinicians administering the therapy would be able to deal with CRS effectively. Experts also discussed a more theoretical safety issue that has not caused problems in trials so far, but is nevertheless a worry to the FDA. T-cells are modified using a lentiviral vector – including machinery from HIV viruses. The viral technology is manufactured by a UK firm, Oxford Biomedica, which has introduced a host of safety features to prevent the therapy inadvertently creating viruses capable of replication. FDA reviewers said ahead of the meeting they were concerned about the potential for these viruses to infect patients and cause secondary cancers. James Miskin, chief technology officer at Oxford Biomedica said that there had been no evidence of such issues in clinical trials so far. The lentivirus vectors used to modify the T-cells are not capable of replication, thanks to a series of safety features to prevent replication, including spreading genetic material over small snippets of DNA known as plasmids. Belldegren said he had been “amused” by the “horse race metaphors” used to describe the companies’ attempts to get their therapies to market.